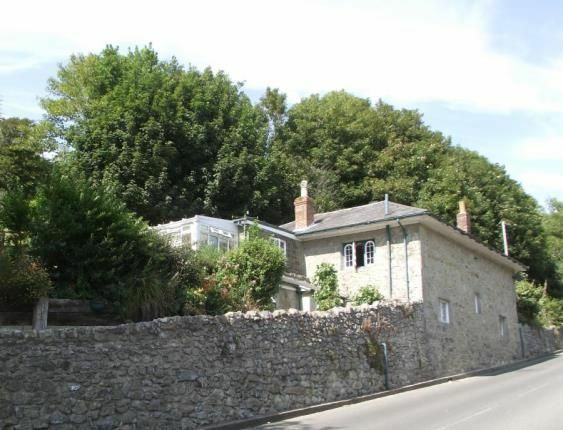 Detached split level stone built Georgian lodge located in a prominent position in the desirable village of Niton. The three bedroom accommodation is arranged over two floors and comes with some very interesting history and period features. Built around 200 years ago this former gatehouse sits on an elevated site at the entrance to 'Westcliff', a period home which boasts a prestigious history of former owners and was the subject of one of George Brannon's famous prints. The lodge's original residents were mainly staff employed at Westcliff. There is a large bread oven still at the lodge so it is a fair assumption most of the bread for the main house was baked here. The accommodation briefly comprises three bedrooms; two of which plus one shower room are on the lower ground floor. Living room, dining room, kitchen, conservatory and second shower room are on the entrance level. Outside there is a lovely landscaped garden with workshop/store and a parking area. Some sea views are enjoyed from the house and garden. Viewing is highly recommended to appreciate the character of this truly unique home. Living Room13'8" x 14'1" (4.17m x 4.3m). With ornate original windows & stone fireplace with open fire. Bedroom13'8" x 14'2" (4.17m x 4.32m). Original ornate window with distant sea view through trees. Dining Room10'7" x 14'4" (3.23m x 4.37m). Original ornate window and wooden floorboards. Kitchen9'11" x 11'1" (3.02m x 3.38m). Double glazed window to side and double glazed sliding doors to conservatory. Limed oak style wall and base units with laminate work surfaces, stainless steel sink and tiled splash backs. Built in fridge/freezer plus space and electric point for cooker. Conservatory12'4" x 6'9" max (3.76m x 2.06m max). Double glazed windows and roof over low walls with French doors to the garden. Bedroom9'5" x 12'4" (2.87m x 3.76m). Windows to front and side and access to the original bread oven. Bedroom/Study13'3" x 8' (4.04m x 2.44m). Window to front and feature Arrow Slit window to side. Landscaped Gardens Mature landscaped garden with a wide variety of trees, shrubs and plants on different levels with paths leading through and around giving access to the far end to the workshop and shed area. Parking Area Gravel driveway to the front providing off road parking for the lodge and which also continues to the side leading up to the manor house.